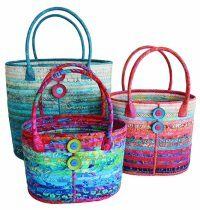 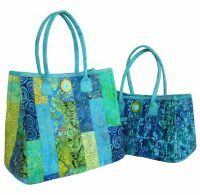 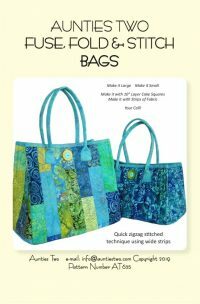 This tote bag can be made with 10″ squares or wide strips of fabric. 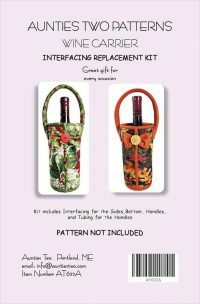 Pattern has easy-to-follow instructions using both fabric options. 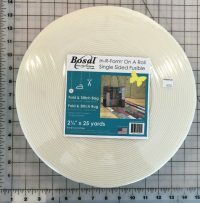 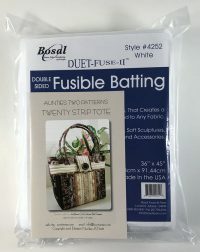 In this kit we have included one roll of Bosal’s In-R-Form On A Roll single-sided fusible interfacing (2.25″ x 25yds) and one Aunties Two – Fold, Fuse & Stitch pattern.